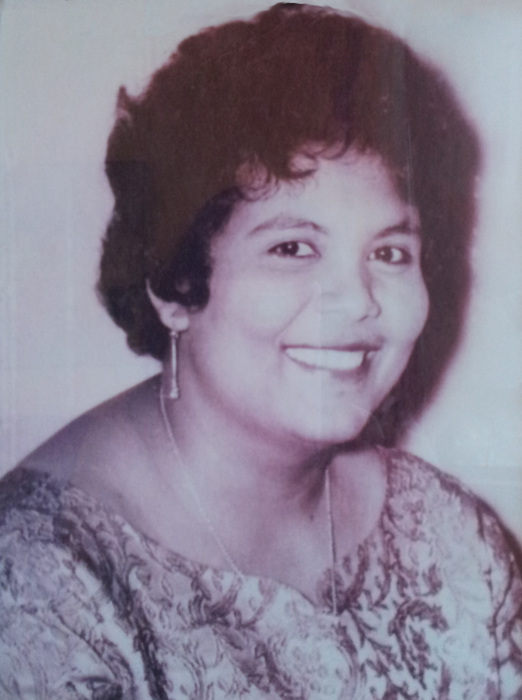 It is with deep sadness we announce that Eunice Ouladevi Ramnarine, age 84, is now in the arms of God. Eunice passed away peacefully on Friday, September 7, 2018 at Samaritan Place in Saskatoon. Eunice was born on January 14, 1934 in British Guyana. She studied at the Lutheran Christian School in New Amsterdam, Guyana until she met the love of her life Daniel. They lived in New Amsterdam where she gave birth to her seven children. In 1978 the family immigrated to Regina, SK. She served as a Lioness in Lions Clubs both in New Amsterdam and in Regina, devoted her time to her beloved children and lived her daily life by her religious principles. Eunice made friends easily and maintained contact with many over great distances. Friends and family were her passion and delight. Eunice was a loving wife, mother, grandmother and great-grandmother. She was predeceased by her oldest son David. She is survived by her loving and devoted husband Daniel, with whom she was married to for almost 64 years; by six of her children and their spouses: Elizabeth Singh (Kishore) of Ajax, ON, David’s wife Sherry Ramnarine of Regina, Indira Faltin (Henning) of Berlin, Germany, Sarojini Lang (Dr. Anthony Lang) of NFLD, Marian Miller (Ron) of Saskatoon, Mark Ramnarine of Regina, Ruth James (Don) of Calgary, AB; by her grandchildren: Annal (Nadia), Steve, Natasha, Alysha (Corey), Melissa (Jason), Renata, Matthias, Rebecca, Michael, Rachel, Roselin and Emma; and by her great-grandchildren: Noah, Ivy, Seamus, Sadie and Lochlainn. The family wishes to deeply thank the staff at Samaritan Place, who cared for Eunice over the last few years. Eunice will be sadly missed but will be in our hearts forever. We only let go of the hand, not the person. A Viewing will be held on Thursday, September 13, 2018, from 6:00 – 9:00 p.m. at Mourning Glory Funeral Services (1201 8th Street East, Saskatoon). A Celebration of Eunice’s Life will be held at Redeemer Lutheran Church in Saskatoon on Friday, September 14, 2018 at 1:30 p.m. Officiating will be Pastor Trent Felstrom and Pastor David Kaiser. Cremation to follow the service with Interment at a later date. Arrangements in care of David Schurr (306) 978-5200.